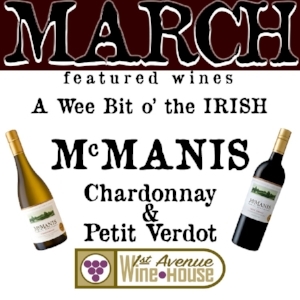 The 2016 McManis Family Vineyards Chardonnay is light golden straw in color. Bright fruit aromas of Pear, Melon and Peach are accompanied by a bouquet of Vanilla, Hazelnut, and a hint of buttered popcorn. The wine is rich, creamy and full of sweet Pear, Banana and toasty oak flavors. The 2015 McManis Family Vineyards Petit Verdot is deep eggplant in color. Aromatically, the wine is full of blackberry, with some blueberry. Additional notes of mocha and a faint smokiness are contributed from oak aging. The wine is dense and full of dark berry fruit flavors, with a creamy supple mouth feel. Flavors of fresh berries and mocha linger in the finish.